Other aCuban plane and map ofHavana-Seville flight. 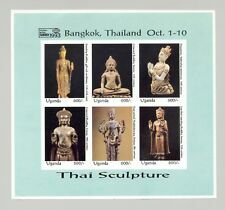 #1141 Sculpture, Buddha, Buddhism, Bangkok '93 1v M/S of 6 Imperf Proof. (d51)(d3209). Uganda Mint & NH. 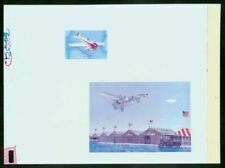 #976 Glider, Aviation 1v Imperf Proof on Card, 4-6 exist (d36)(d2547). (d51)(d3220). Uganda Mint & NH. #1536 Mother Theresa, Princess Diana 1v S/S Imperf Chromalin Proof 2-4 exist (d19)(d1003a). SERIE WWF FAUNA. COLONIA INGLESE - UGANDA. SPEDIAMO SOLO TRAMITE RACCOMANDATA, ASSICURATA, CORRIERE ESPRESSO. Motiv: Wildtiere. Land: Uganda. Fehlen Ihnen noch Binder von Leuchtturm, Kabe, Lindner oder Safe???. Mint & Used collection on album pages of 13 different. Doing that is against U.S. and international laws. 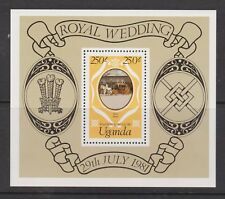 Edward Younger Co.
Uganda MiNr. Motiv: Eisenbahn. Fehlen Ihnen noch Binder von Leuchtturm, Kabe, Lindner oder Safe???. Land: Uganda. 1997 Gorilla, Monkey 1v S/S Imperf Chromalin Proof 2-4 exist (d19)(d1031). 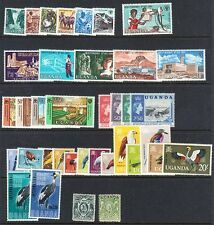 1965 Definitives (highest values) (birds). The SG catalogue value of these six blocks of 4 is £172. SG 121/126 (6 values in blocks of 4). 1997 Flowers 1v M/S of 4 Imperf Chromalin Proof 2-4 exist (d19)(d1029). 1995 Christmas Art 1v S/S Imperf Chromalin Proof Mounted in House of Questa Folder 2-4 exist (d19)(d994). Direct communication is always the best way to fix an issue. AND ALL POLICIES. If there is a fault we will describe it. Delays can occur. On occasion, we may misidentify an item. We appreciate your cooperation with this. (Sheetlet with 8 values (8v M/S): 1500/- x 8. 3) Select each item and 'Add to Basket'. #1431-1434 50th Anniversary of UNESCO, UN, Mountains, Glaciers 3v & 1v S/S Imperf Chromalin Proofs 2-4 exist (d21)(d1297). #661, #664-665, 668 Mushrooms 4v Imperf Proofs from set (d39)(d2729). Uganda Mint & NH. #670 Mushrooms, Giraffes 1v S/S Imperf Proof from set (d39)(d2728). Uganda Mint & NH. #979 Trans Siberian Railway, Trains 1v S/S Imperf Proof Mounted in Folder, 4-6 exist (d36)(d2544). #970-971 Scouts 2v Imperf Proofs on Cards, 4-6 exist (d36)(d2548). (d63)(d4033). Uganda Mint & NH. (d63)(d3997). Uganda Mint & NH. 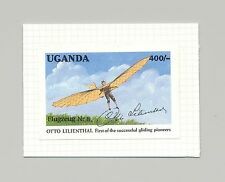 UGANDA OUGANDA Is40 20181115 AA International Reply Coupon Reponse IRC IAS Antwortschein Hologram o KAMPALA 12.3.2019. Uganda, Schiffe, MiNr. Motiv: Schiffe. Land: Uganda. 1987 Transportation Preliminary Proofs 8v Imperf Chromalin Proofs Mounted in Folder with Notes. (d58)(d3656). #1500-1505 Nagano Olympics, Skiing, Skating, Hockey 4v & 1v M/S of 6 & 1v S/S Imperf Chromalin Proofs inscribed "Nagno" instead of Nagano (d19)(d1032). It is the 2014, Bird Watching, Vultures sheet. Good condition sheet of Uganda. 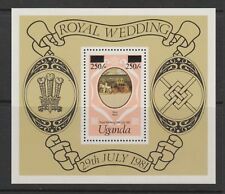 Uganda #1477-1478 Olympics, Boxing 2v M/S of 9 Imperf Chromalin Proofs 2-4 exist (d19)(d989). 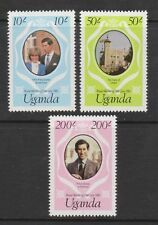 Briefmarken Uganda Briefmarken 300 verschiedene Marken. 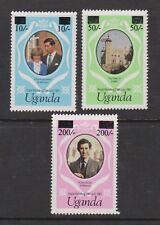 Uganda Briefmarken 300 verschiedene Marken. Markenprodukt: Prophila. Produkt: Briefmarken. Sehr geehrter Briefmarkensammler. Teilweise entsorgen wir über 50% der gekauften Ware. Hindenburg, Zeppelins, Statue of Liberty 1v S/S Chromalin Proof on Card, Unissued Design. (d57)(d3617). 1996 Olympics, Judo 1v S/S Unissued Chromalin Essay 2500F Denomination instead of 2500/- 2-4 exist (d20)(d1241).